I am currently in second year studying civil engineering at Stellenbosch university. I am a mature, patient individual with a passion for education. I enjoy seeing people achieve their potential and even more so if I can play a role. 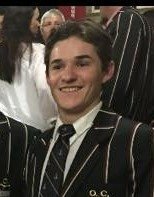 I received my matric from maritzburg college with 5 distinctions. At high school I would often tutor my peers who were struggling before exams and tests. I would also schedule peer tutoring on a weekly basis with younger scholars. I believe that a good understanding is vital. Maths problems can be asked in a thousand different ways so I aim to provide the tutee with a solid understanding of the concept which will give them the ability to solve any problem. Building a good relationship with the tutee is important because if they are comfortable learning becomes easier.